The myTouch 3G Slide is the latest smartphone unleashed by T-Mobile officially. It is a perfect device for those who wants 3G-enabled handset with advanced features like QWERTY keyboard, HVGA touchscreen, Wi-Fi, GPS etc etc. It is designed to meet the needs of those who are frequently on social networking. It also incorporates many more great features typical of a smartphone to entice the user. myTouch 3G Slide boasts of a 3.4-inch HVGA touchscreen with magnificent software inputs, Bluetooth, a 3.5mm audio jack, great music player and 5 mega-pixel camera with auto-LED focus and flash. Swype keyboard and many of its Android Market applications are good enough to amuse the user. 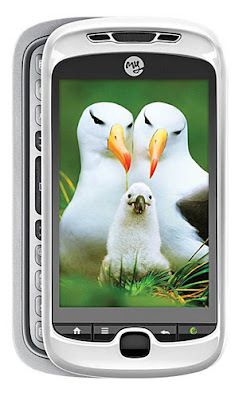 The myTouch 3G Slide will be launched in and around June 2010. Interestingly, price details are not yet revealed.